It’s been crazy few weeks here on the farm. The kids and I have all had colds, and Toby is still suffering. Last weekend we went to the mountains to visit my family. Naturally enough, I developed my cold soon after we arrived, but it was still lovely to spend time with them all. We arrived home on Sunday evening, and it was straight into the week. Between being sick and not being home all weekend, the last week was really about survival for me, so this weekend I was determined to catch up on some sleep and do a little cooking. On Friday afternoon, I was given a couple of loaves of bread, left over from a fundraiser, to bring home. They needed using up, so I whipped up this chocolate bread and butter pudding to take to church on Sunday night. It made a huge dish, and so we have a little bit leftover for a cheeky after dinner treat in front of the fire one night this week. Grease a large oven proof dish (a lasagna dish would be perfect). Butter each piece of bread. Cut into ⅛ triangles and pile randomly in oven proof dish - I leave crusts on, but you can remove them if you like. Sprinkle the craisins over the top of the bread. In a saucepan, place the chocolate, cream, milk, and orange zest. Heat until the chocolate has melted. Allow to cool slightly. In a large bowl, whisk the eggs, sugar and cocoa. Slowly add in the milk mixture, whisking as you do, until it is all well combined. Pour the mixture through a sieve and over the bread in the oven proof dish. Be sure to cover all the bread. Allow the mixture to stand for 10 minutes so that the egg mixture soaks into the bread. Bake at 170*c for 35 minutes or until the egg has set. How was your weekend? 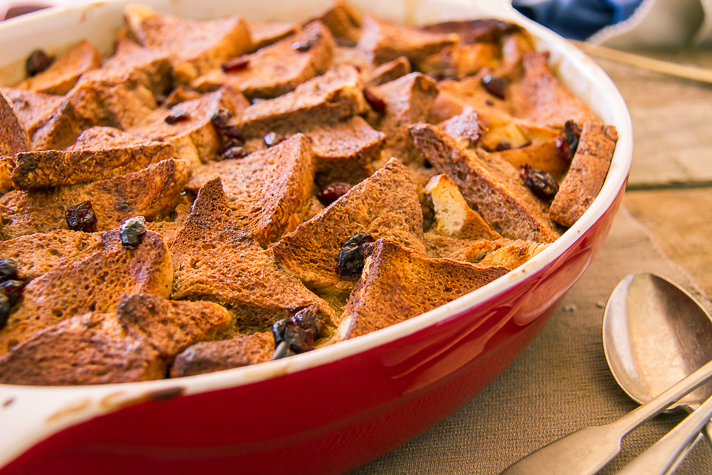 Are you a fan of bread and butter pudding? Haven't tried it, but it's on the list of things to have a go of! We used to have something similar as a kid, though with sultanas, no chocolate, and a generous sprinkle of nutmeg – delicious! 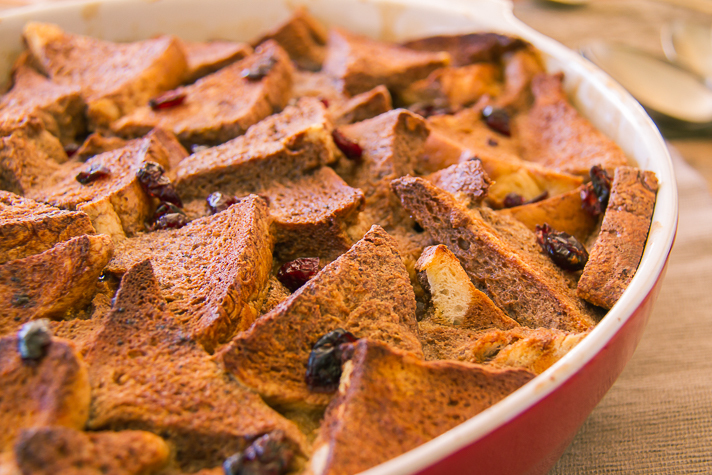 Jo, this looks super delicious and I can't remember the last time I had bread and butter pudding. I guess it's almost like another version of french toast but with custard 🙂 That's it I am going to have to make some and with chocolate of course, thanks for the dessert inspiration. Yum! This looks like the best thing since sliced bread! 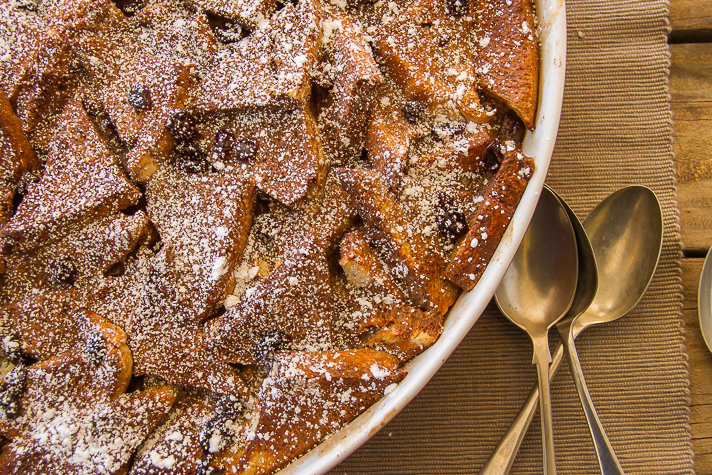 I love bread and butter pudding – adding the cocoa and orange is just genius! I'm also a massive fan of bread pudding. It's similar to bread and butter pudding in that old bread is the hero, but it's drier than the pud, so it can be eaten as a teatime treat or dessert. Have you ever tried?